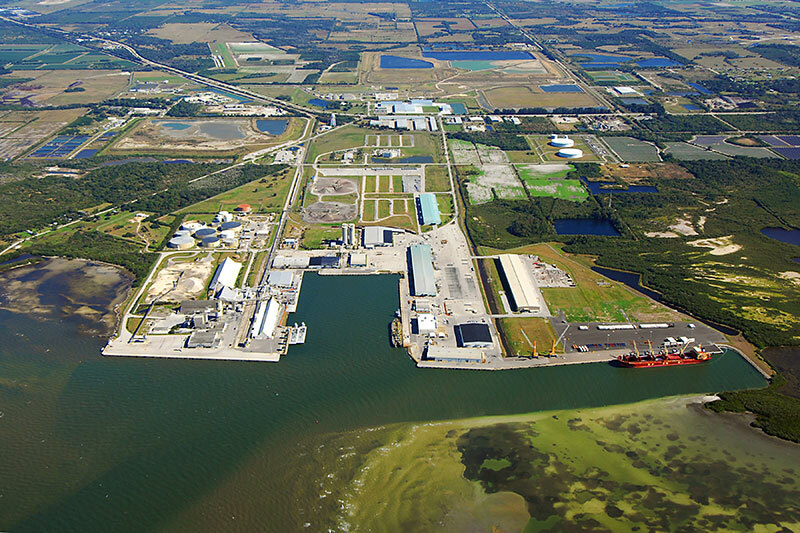 Port Manatee is one of Florida’s largest and fastest growing deepwater seaports. Located in the eastern Gulf of Mexico at the entrance to Tampa Bay, Port Manatee is the closest U.S. deepwater seaport to the Panama Canal – providing shippers with speedy access to Pacific Rim markets. The port and its partners move up to approximately 10 million tons of containerized, breakbulk, bulk and project cargo each year including fresh produce, forestry products, petroleum products, citrus juice products, fertilizer, steel, aluminum, automobiles, cement, aggregate and more. The mission of Port Manatee is to be a powerful catalyst of countywide economic growth and hub of trade-related activity, by developing diversified and competitive deepwater shipping facilities and conducting maritime-related activities in a profitable and environmentally responsible manner.